That is the question. Whether ’tis nobler in the mind to suffer receiver pack failure, or to risk running the motor battery too low to power the electronics? A battery eliminator circuit (BEC) eliminates the need for a separate receiver battery in an electric model aircraft (or car or boat). Instead, the receiver and servos draw their power from the same battery that powers the motor (unfortunately, no one has yet come up with a circuit that will eliminate the motor battery too). The BEC is usually part of the electronic speed control (ESC), although it would be possible to construct a stand-alone BEC that is connected between the motor battery and ESC. At first glance, there would seem to be no reason not to use a BEC, but as with most things in life, there are advantages and disadvantages. Let’s look at the advantages first. Possibly the most important benefit offered by a BEC is the elimination of the weight of a receiver pack. A typical 4.8V 600mAh AA pack weighs about 3.3oz (94g), while a 4.8V 270mAh pack weighs about 2oz (55g). In a small plane, this can represent 10% or more of the total weight. Eliminating this weight is roughly equivalent to adding 10% more power, since less power is needed to fly a lighter plane. In a larger plane, such as my 14-cell 105oz (3kg) Sig LT-25, the extra weight of a receiver pack is less significant. BEC is not usually used on such larger models (as we’ll see later, there are technical reasons that would make this difficult). 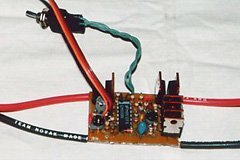 This home-made ESC (construction was featured in the July ’99 issue of S&E Modeler) is BEC equipped, with a user-adjustable motor cut-off point. The ESC will work with 6 to 10 NiCd/NiMH cells when using the BEC, and up to 12 cells without the BEC. In addition to eliminating the weight of the receiver pack, a BEC also eliminates the need to remember to charge it. Before I started using a BEC, I didn’t really see the significance of this point. Now that I have several BEC equipped planes, I find that they get flown the most, because I can fly on the spur of the moment without worrying about the receiver pack’s state of charge. If there’s enough power in the motor battery to fly the plane, there’s enough to run the BEC. Every time you insert a freshly charged motor battery, you can be sure that your receiver and servos will have power. You can fly all day without worrying about whether there’s enough juice left in the receiver pack. My Great Planes SlowPoke flies on 7 NiCd cells, and uses a BEC for convenience and weight reduction. Since it’s always ready to go, it gets flown a lot, even in winter as seen here. From discussions with modelers around the world, I’ve come to the conclusion that the most common cause of crashes is pilot error. The second most common is receiver pack or wiring failure. Unless you dismantle and inspect your receiver pack regularly, it’s almost impossible to prevent such a failure. At any moment, a poorly made cell interconnect spot weld could break, cutting power to your airborne electronics. Keith Shaw’s pioneering twin ducted-fan Horten flying wing was lost to exactly such a failure one summer at the Electric Model Flyers of Southern Ontario’s annual August fun-fly. A related failure, one to which I’ve lost a plane, is the so-called "black wire" disease. Briefly, this is caused by a chemical reaction on the surface of a slightly leaky NiCd cell. The reaction spreads into the wire, turning it black and brittle. As the individual strands start to break, the wire’s resistance increases, reducing the voltage to the receiver. If the plane manages to survive this phase, it will eventually meet its demise when the wire breaks off completely. With a BEC, you are immune from such receiver pack related failures. Finally, most modern BEC equipped speed controls have a single switch which doubles as a receiver power switch and ESC arming switch. One switch is easier to install than two, and one switch is less likely to fail than two (although a failure of only the motor power is usually catastrophic only shortly after takeoff). Large models such as Robert Pike’s twin Astro 05G powered Canadair CL-215 water bomber typically do not use a BEC. Receiver pack weight is less of an issue, and it’s hard to build a BEC that will work with high cell counts. All BEC equipped ESCs intended for airplane use have a low-voltage cut-off (some car and boat ESCs do not; don’t use these in an airplane). Once the motor battery voltage approaches a point at which the BEC could no longer provide power, the ESC shuts off the motor to conserve the remaining power for the receiver and servos. The amount of time remaining depends a number of factors, such as the cut-off voltage, and how well matched (in capacity) the cells of the motor pack are. Because NiCd cells have a very flat discharge curve (their voltage remains relatively constant until near the end), the actual cut-off will occur when the pack is almost dead. On an ESC with a fixed cut-off voltage, this gets worse the more cells you use (because each cell has to be "more dead" for the total voltage to be low enough to activate the cut-off). If you have a poorly matched pack (99% of packs that haven’t specifically been matched), then the low voltage is reached when one cell is depleted, and there’s usually plenty of capacity left in the others to power the radio for quite some time. With a well matched pack however, all the cells drop more or less simultaneously, so when the cut-off activates, there isn’t enough power left in the pack to run things for very long. One problem unique to electric flight is electrical noise interfering with the receiver, causing glitching. Some ESCs use an optoisolator (a chip which connects one signal to another optically instead of electronically) to keep motor noise from travelling from the ESC back to the receiver via the signal lead. If an ESC has a BEC however, the receiver is being powered by the motor battery, so isolating the signal lead is pointless. Theoretically, a BEC equipped plane would be more prone to motor noise interference than one with a receiver pack, especially if the ESC has an optoisolator. In practice, I haven’t found this to be the case. My BEC equipped models are as glitch free as my others. As a matter of fact, I had one receiver that would glitch constantly, and the problem finally went away when I switched to a BEC. I switched back to a receiver pack and the problem reappeared, and the same receiver pack worked fine in other models. Although a BEC equipped plane is obviously not subject to receiver pack failure, it is subject to motor pack failure. I’ve never had this happen, but I build all my own packs with soldered connections. I have heard it said that end-to-end soldered packs (wherein one cell is directly soldered to the next, with no interconnecting wire, braid, or strap) are more prone to failure, but I’ve never had such problems. Perhaps I haven’t crashed hard enough? Most BECs are limited to motor packs of 6 to 10 NiCd or NiMH cells. Fewer than six cells will not provide a high enough voltage for the BEC to operate because the voltage regulator used in the majority of BECs requires at least 5.5V to produce a regulated 5V output. A five cell pack under load (from the motor) will only produce about 5V. With more than 10 cells, power dissipation becomes a problem. All commercially available BECs use a linear voltage regulator. To produce 5V at a given current requires the same input current at whatever the input voltage (motor pack voltage) happens to be. For example, if the input is 9V and the receiver and servos are drawing 0.3A, the voltage difference (4V) times the current (0.3A) is dissipated by the BEC has heat (1.2W). The higher the input voltage, the more heat the BEC has to dissipate. Likewise, the higher the needed current, the more heat must be dissipated. For this reason, BECs also specify a maximum number of servos that should be used. If the BEC regulator does overheat, it will usually not be damaged because these chips have built in thermal overload protection. This shuts off the output power until the chip cools down. Of course, this means that the receiver and servos are not getting any power, so, the BEC ends up getting damaged anyway, along with everything else in your plane, when it hits the ground. Some BEC equipped ESCs shut off motor power gradually when the motor pack voltage gets too low, but most shut it off completely. Such an ESC is not suitable for a helicopter, since finding yourself without power 20ft up in not pleasant (especially if your chopper doesn’t have an autorotation clutch and/or you haven’t learned how to do autorotations). Electric sailplanes, which can spend hours in the air after motor cutoff, are not suitable candidates for BEC use. Based on the aforementioned advantages and disadvantages, you can decide whether or not a BEC is suitable for your model. The following are my recommendations. 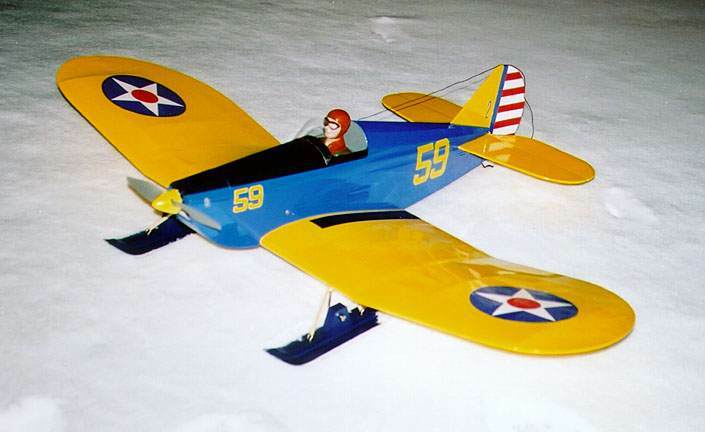 Small slow-fly and park-fly type models will almost always use a BEC. Weight is at a premium in these planes, and most use 7 or 8 cells and two servos, well within the capabilities of even the smallest BEC equipped ESC. 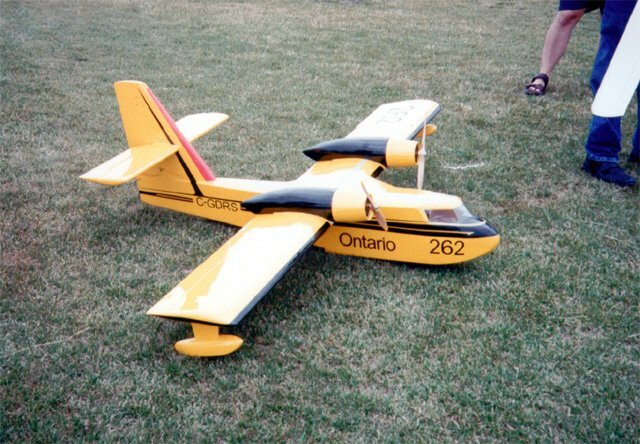 Since these models are generally flown close in, the chances of getting stuck in a thermal and flying for hours after motor cut-off are minimal. Small sport and scale aircraft in the 7 to 10 cell range also benefit from a BEC, with the advantages of weight reduction and convenience outweighing the disadvantages. Just be sure to remain within the manufacturer’s recommendations regarding cell count and maximum number of servos. Larger sport and scale models, powered by 11 or more cells, generally can’t take advantage of a BEC, simply because most BEC equipped ESCs do not allow use of the BEC with more than 10 cells. The one exception I’m aware of is MaxCim’s brushless ESC, which supports BEC with any number of cells, but requires that your battery pack have a tap somewhere between the 7th and 11th cell. In other words, the BEC itself only uses 7 to 10 of your larger pack’s cells. If your motor battery consists of two or more separate packs, this is easy to do, but if it is one large pack, this can be inconvenient to wire up. If you are flying an electric sailplane, where you use the motor to climb to altitude, and then glide around, possibly for hours, a BEC is probably not a good idea. Even if you don’t run the motor all the way to cut-off, you never really know just how much power is left in the motor battery and how long you can safely remain airborne before your receiver stops working. I am relatively new in Electric Flying. And this article has been very illustrative to me. Thanks. Good information, could you please explane what is a UBEC. Thanks I owe you. UBEC is a brand of Universal BEC. Instead of the BEC being built into the speed control, it is a separate unit that goes between the receiver and speed control. Thanks. 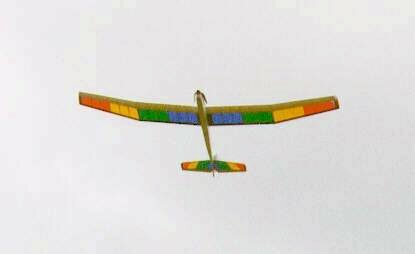 I fly all my models BEC – have now ordered an SBEC (“Smart BEC”). However, my biggest model is 10 pounds: if the engine overuses and kills the battery, the thought of controls also being killed while the aeroplane is high up is worrying. So, my interest in whether a separate battery for the receiver is feasible. I am also a “newby” to electric flight. 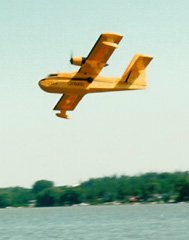 Have been flying gas engines since the mid-seventies. This has been a fantastic eye-opener for me. But, the article only mentions NiCD and NiMH batteries. What about LiPo packs. I have just bought my first electric powered aircraft and I have a LiPo battery pack (3S). Advice? Comments? The article was written in 2001, at which point (if I remember correctly) LiPo was just emerging. At some point, I’ll need to update it to take LiPo into account. Roughly, one LiPo cell equals three NiCd or NiMH cells in series, voltage-wise, and you don’t want to discharge to below 3.3V/cell with LiPo.